August 17, 2016 at 12:00a.m. If you’ve been shopping for beer lately, you’ve likely noticed a dramatic change in the kind of beer being displayed and promoted at your favorite local retailer. The summer beers and ales are now replaced with suds that seem more appropriate for football tailgating and Halloween parties. Where once there were cases of wheat beers and session ales, now sit a huge selection of Oktoberfest beers and Pumpkin ales. The transition is not subtle and the styles of these fall seasonal beers couldn’t be any more different than their predecessors. This transition has been unfolding for centuries in Germany as they prepare for the annual Oktoberfest. The world’s largest beer festival is really more of a cultural staple in Munich. People gather from around the world each year to hoist the giant beer steins and soak it all in. American craft brewers revel in the opportunity to shift their brewing to these beers of the fall. The sheer number of Oktoberfest beers in stores this year is astounding as American brewmasters put their own creative stamp on the German tradition. Pumpkin beers and ales also are widely available now in stores. They have become wildly popular in America over the last five years and are a favorite of those hosting Halloween parties. If you want some of these pumpkin beers on your party’s drink list, you would be wise to buy them now. Most of them will be off the shelves by Oct. 31, replaced by (you guessed it) Christmas ales. Great Lakes Oktoberfest (Cleveland): A classic representation of a traditional Oktoberfest beer. Beautiful copper color with aromas of fresh bread and caramel. Flavors of roasted nuts and a subtle sweetness are prevalent on the first sip. Medium in body, not too heavy with a subtle hop “zing” on the finish that livens things up. The brewery suggests you try pairing it with roasted pork loin and potato pancakes. Southern Tier Warlock (Lakewood, N.Y.): An Imperial Stout brewed with pumpkins, this beer packs a major punch at 10 percent ABV! Lower in carbonation and bigger on flavors of pumpkin pie, coffee, and dark chocolate. Black in color, full bodied with medium-low bitterness and a huge roasted malt character. The brewery recommends you pair this beer with spicy barbecue, followed by a piece of carrot cake with vanilla ice cream. 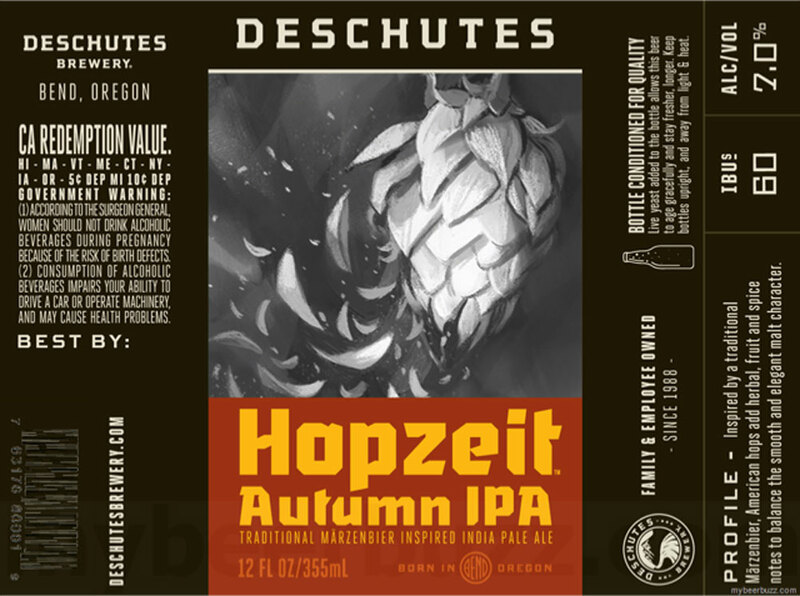 Deschutes Hopzeit (Bend, Ore.): A very non-traditonal Oktoberfest beer. It is an American IPA combined with the traditional Marzenbier malts that provide classic flavor alongside the mixture of hoppy flavors. The Brewmaster utilizes Herkules, Sterling and Hull Melon hops to provide diversity and depth of flavor. Enjoy with your favorite sausage sandwich with brown mustard and garlic mashed potatoes.